At the time of its conception, the Audi R8 took the supercar formula and make it more relational to everyday folks. Though, doing so didn’t make the R8 any less of a supercar or lessen its potency of being an all-out 6-figure thrill ride. 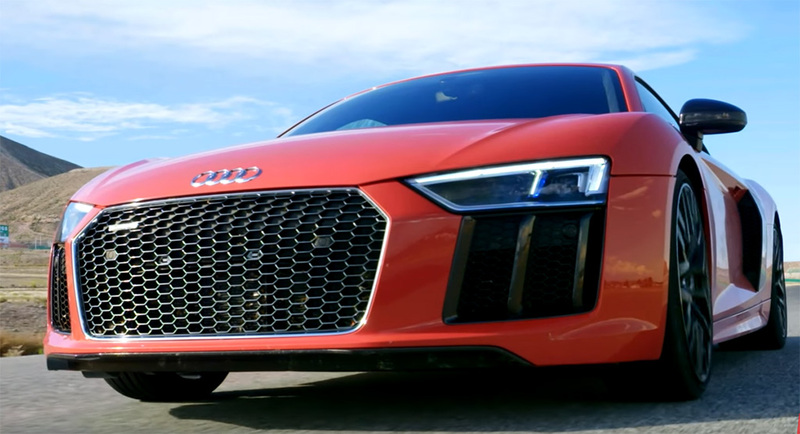 The latest iteration of the R8 V10 Plus brings a new-age supercar thrill to the table and the folks at Motor Trend attempt to explain it all in the best way possible in their latest Ignition episode featuring Jonny Lieberman and Randy Pobst who take Audi’s best on the road and track. Check out what they have to say below about the naturally-aspirated V10-powered 602 horsepower and 413 lb-ft of torque German supercar capable of 0-60 mph in 2.6 seconds. Get clearance pricing on the Audi R8 from a network of dealers to get you the cheapest price. Use a simple form to select the make and model and start saving. Remember to get quotes from the maximum number of dealers to give you the upper hand. Get a Free Quote on the Audi R8 or other vehicles now.